It’s unicorn time again and so it is also time to bring out my lovely Cupcake holo glitter polishes. 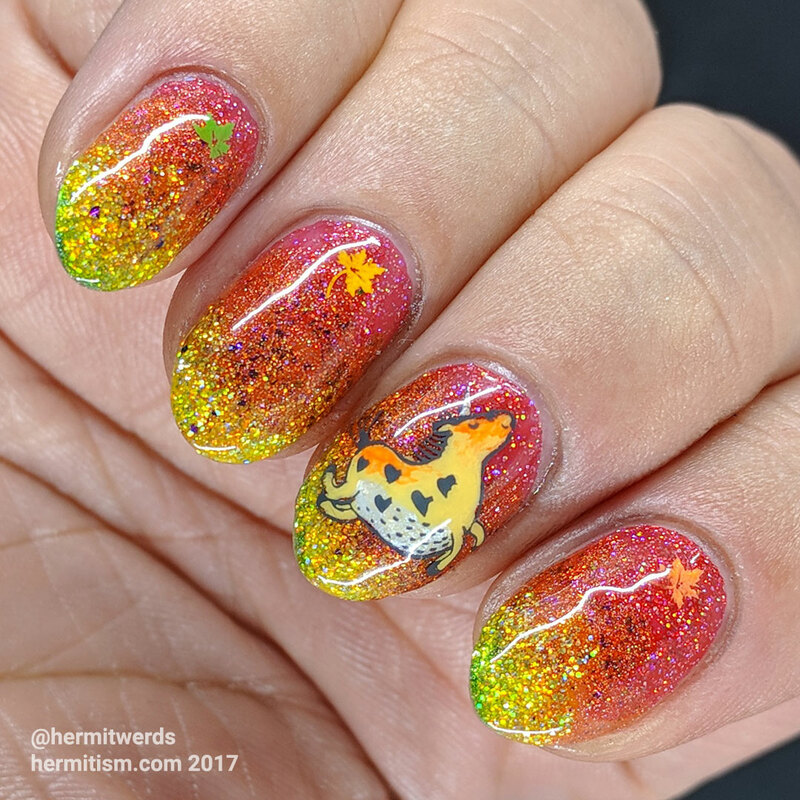 This time it was for a fall gradient so I had to supplement the strawberry red and yellow with an orange and a bright green. Fortunately my holo collection has grown quite a bit this year. 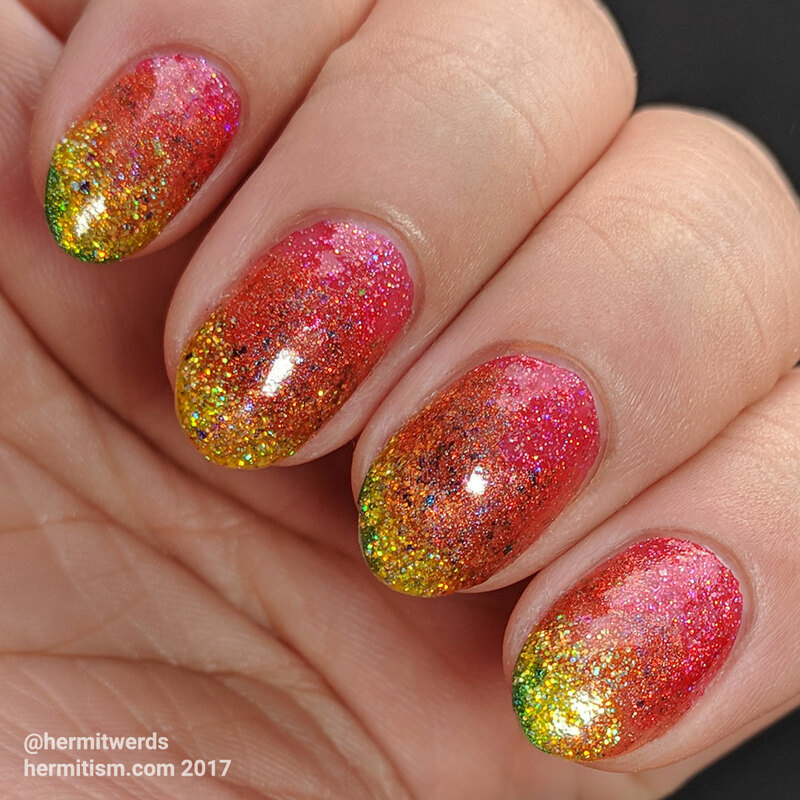 😉 I started with the fall gradient that I posted yesterday on Instagram. Then it was three different attempts at making a fall-colored unicorn without drifting too far away from a white color scheme. I think I managed it rather well. Then I added teeeny little stamped leaves on all the other nails. Super sparkly and done! But the really amazing thing about this nail art is that I finished it so early. I’m usually so busy finishing nail art for other prompts that I miss finishing a mani for #AZNailArtChallenge completely or turn it in the very last day. 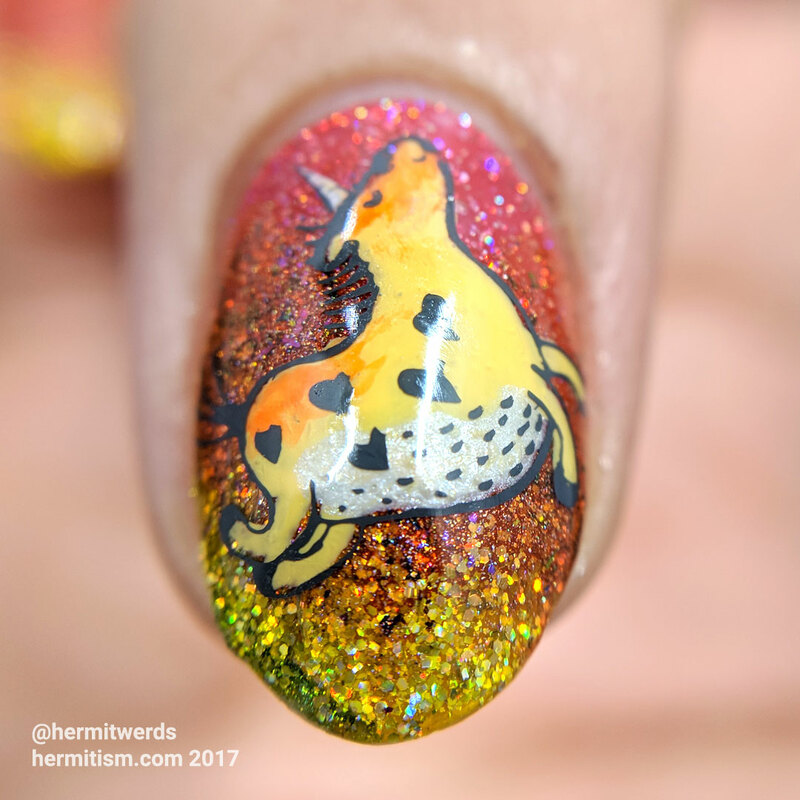 When I first saw Nicole Diary’s unicorn stamping plate, I fell in love with the happy plump unicorn. 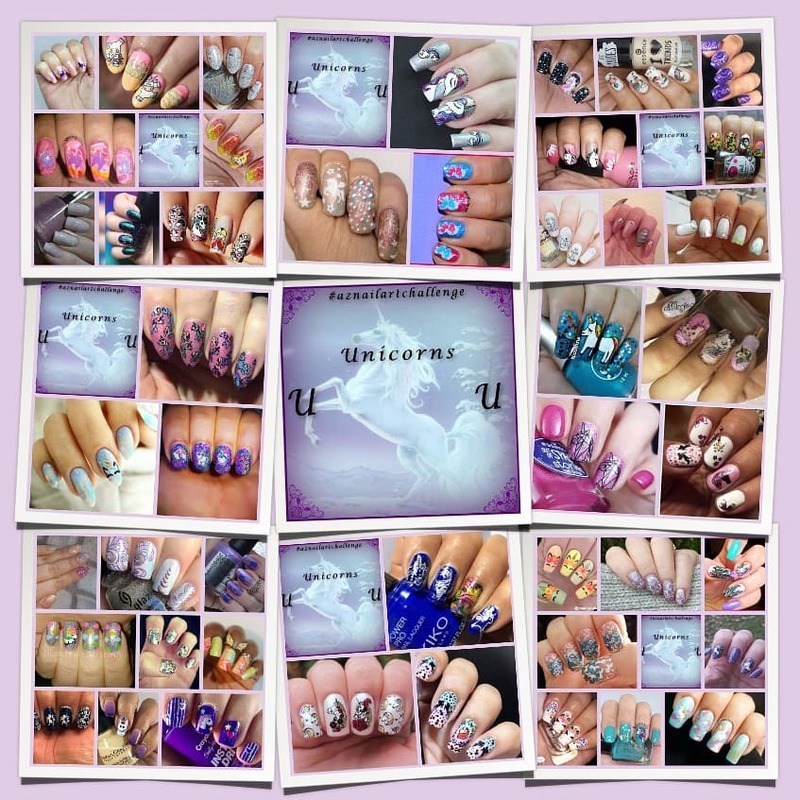 It is my favorite out of all the unicorn stamping images I have seen. 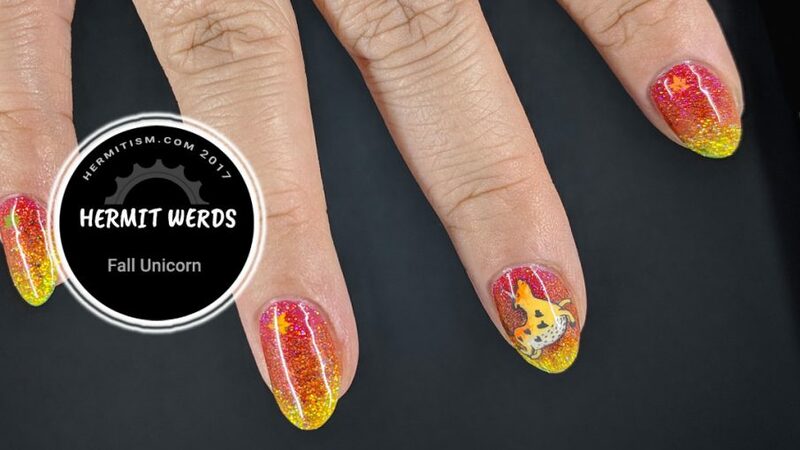 There was no other choice for me when it came to this manicure. So here’s a closeup of him. I hope you love him as much as I do. Also: who says neons are only for spring and summer? Not I!